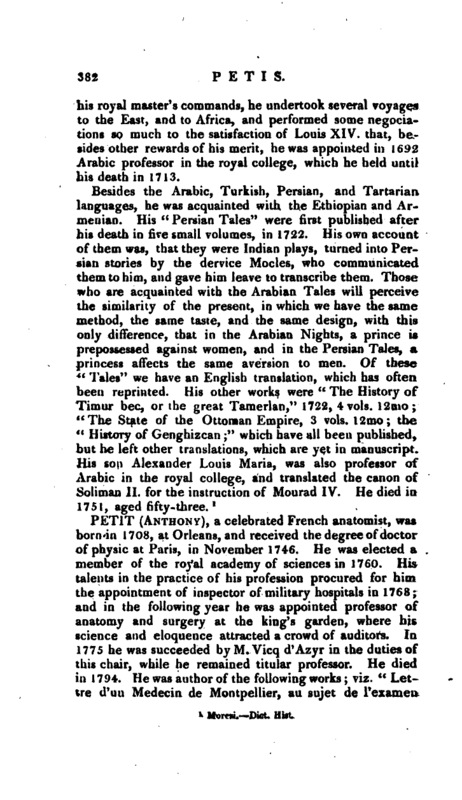 , an agreeable French writer and learned Orientalist, was born in 1654. 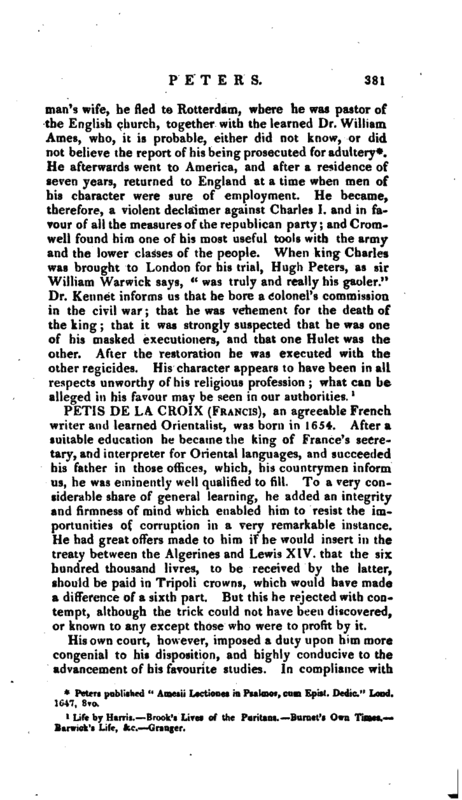 After a suitable education he became the king of France’s secretary, and interpreter for Oriental languages, and succeeded his father in those offices, which, his countrymen inform us, he was eminently well qualified to fill. To a very considerable share of general learning, he added an integrity and firmness of mind which enabled him to resist the importunities of corruption in a very remarkable instance. He had great offers made to him if he would insert in the treaty between the Algerines and Lewis XIV. that the six hundred thousand livres, to be received by the latter, should be paid in Tripoli crowns, which would have made a difference of a sixth part. But this he rejected with contempt, although the trick could not have been discovered, or known to any except those who were to profit by it. His own court, however, imposed a duty upon him more congenial to his disposition^ and highly conducive to the advancement of his favourite studies. In compliance with | his royal master’s commands, he undertook several voyages to the East, and to Africa, and performed some negociations so much to the satisfaction of Louis XIV. that, besides other rewards of his merit, he was appointed in 1692 Arabic professor in the royal college, which he held until his death in 1713.